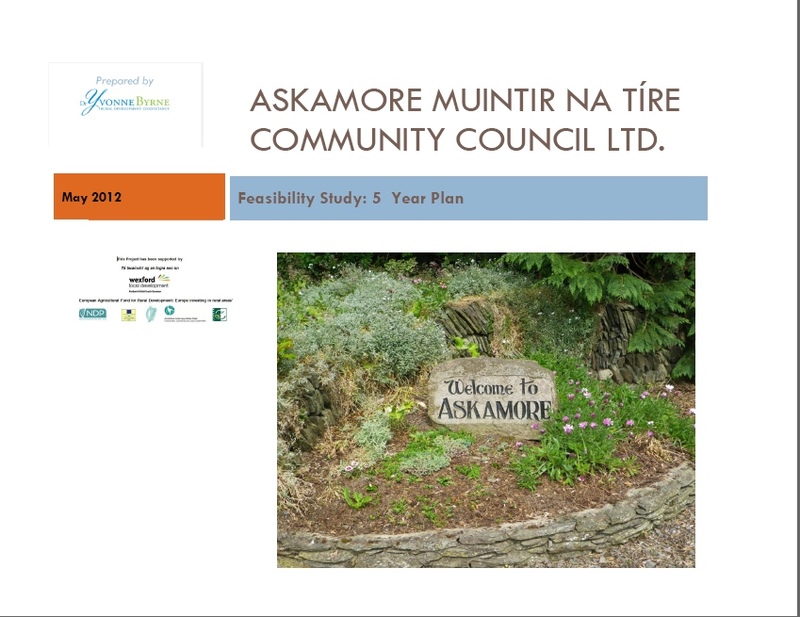 WLD is the company which has provided most of the grant-aid to Askamore Community Development group and to Askamore Community Council in recent years that has allowed us to develop the Activity Centre and Le Chéile Park, among other projects. They are currently in a very precarious situation due to government plans to merge them with local authorities. All local development companies have come together and organised a petition which, if enough people signed up, could hopefully impact on the direction government take. 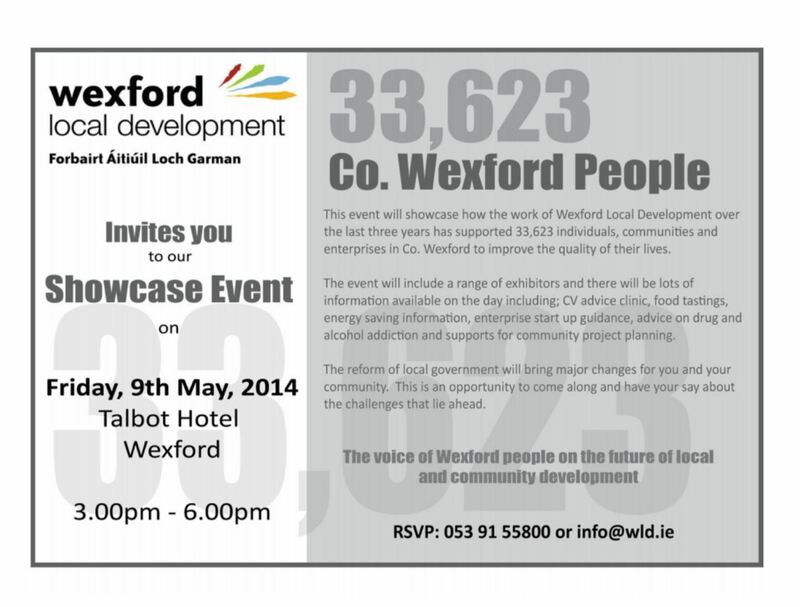 Wexford Local Development, together with all other Local Development Companies in Ireland, has organised a petition to assist in securing its role in local, community and economic development for the future. You can read more details when you follow the link below. It is essential to get as many signatures as possible. Therefore, it would be greatly appreciated if you could sign the petition and distribute as widely as possible (e-mail, text, Facebook, Twitter) to your committee members, family and friends anywhere in Co. Wexford and beyond. Your cooperation is appreciated to date and thank you for taking the time to support WLD now. Wexford Local Development (WLD) who have funded part of the cost of the refurbishment of the new Activity Centre / Meeting Rooms, and the recent 5-year plan for the area undertaken by Askamore Community Council, have invited the council to take part in a promotional video to be shown as part of the National Ploughing Championships, taking place in Heathpark, New Ross next month. (Download NPA Ploughing Championships brochure 2012 here). Ted and Seán from Highwind Films spent Monday morning last in Askamore, luckily a sunny dry morning, and took lots of stills of various parts of the area, both scenic and projects related to community development over the past number of years. 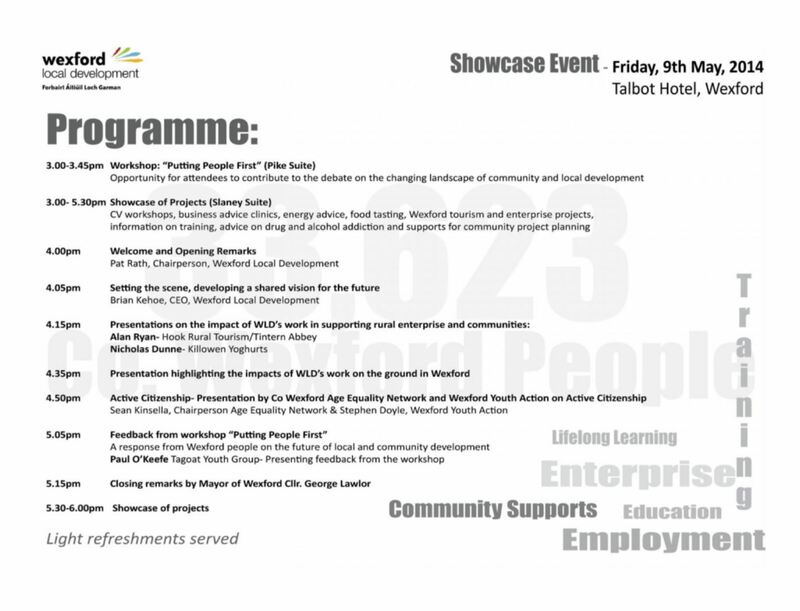 They also interviewed both Chairman Paddy Byrne and Secretary Mary Donohoe about our recent 5-year plan and our planned projects. If you or a family member are in receipt of a Fuel Allowance AND own your own home, you may be entitled to have your house insulated free of charge. The Warm Project provides a range of energy saving measures, which includes attic and cavity wall insulation, draught proofing of doors and windows, lagging jackets for hot water cylinders and cold water storage tanks, low energy light bulbs and energy advice. This service is available to people who own their own homes and are in receipt of a fuel allowance from the Department of Social Protection. If you think you meet the above criteria and would like to avail of the services described above we would appreciate if you could complete the Application Form which you can download here. Please print out the form, fill it in and post it back to The Warm Project, Green Street, Wexford. Please supply evidence that you are in receipt of a fuel allowance with your completed Application Form. When we have received your completed form we can arrange for a surveyor to call to your home. Huge thanks are due to Dr. Yvonne Byrne, Rural Development Consultant, who helped us in countless ways to put this together.